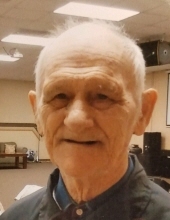 Clarence Faust, 84, of Decatur, IL passed away on Wednesday, March 27, 2019. A celebration of his life will be held from 6:30-8:00 p.m. on Wednesday, April 17, 2019 at Resurrection Life Church, 1085 W. McKinley, Decatur, IL. "Email Address" would like to share the life celebration of Clarence Faust. Click on the "link" to go to share a favorite memory or leave a condolence message for the family.